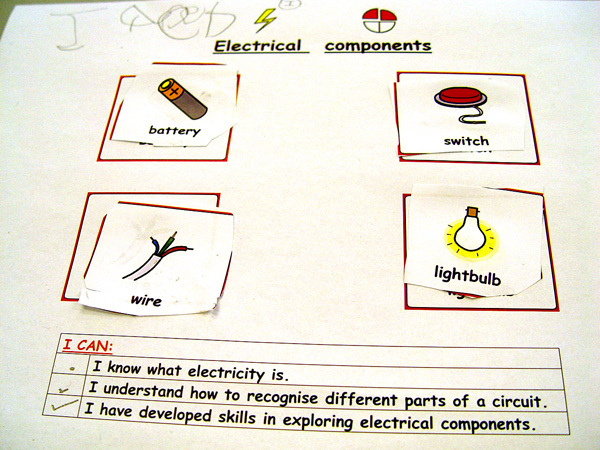 Class 1G have started the new term at Turney School by starting a new science topic looking at how electricity works. We wanted to start this work at the very basic level: what is electricity? Once the students could understand the concept that electricity is an energy source, we could then start to think about how we use it. We are helping the Class 1G pupils to recognise the different parts of a circuit: Where is the power source, and what is the component? This work will develop over the coming weeks so that Class 1G will be able to build their own electrical circuits. Key to this project is the understanding of how a circuit needs to be complete so that the electricity can flow around it. This is also a great opportunity to help extend the vocabulary of the pupils. We have been helping the Class 1G members to understand what we mean by terms such as battery, electricity, switch, light, bulb and wire.